ISCG bash guard makes your drive chain system survive after a big hit. -Integrated bashguard connect with 5mm full machined 6061 T6 aluminum backplate. -The high molecular nylon parts increase shock absorb, wear life, and reduce friction and noise. -Full machined alloy hardware(bashguard fixing bolts). 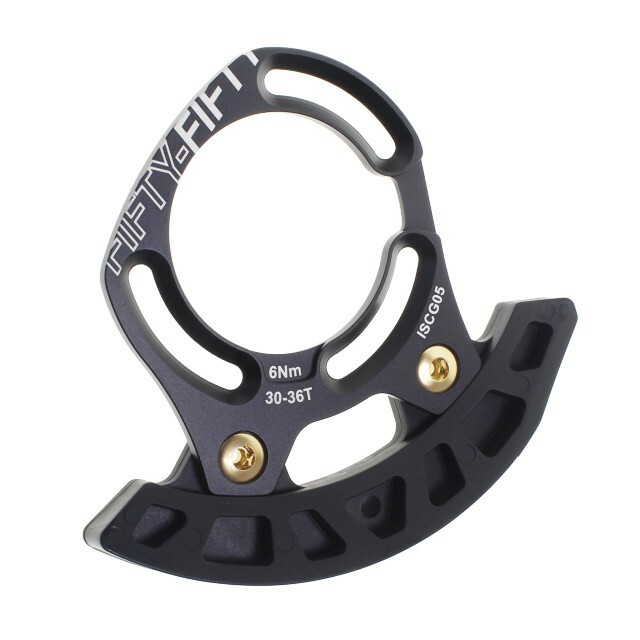 -Wild range chainguide angle adjust by rotation within ISCG Slot. -Easy install with M6*10,12,16 bolts and chainline adjusted by 1mm and 3mm spacers.